Cortiment is taken as a single tablet once daily for up to 8 weeks. 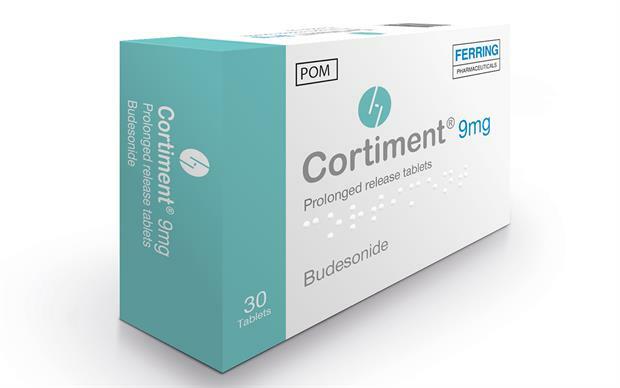 Cortiment (budesonide) 9mg prolonged-release tablets are now available from Ferring, for the induction of remission in mild to moderate active ulcerative colitis where mesalazine is not sufficient. A single tablet is taken once daily for up to 8 weeks. In the CORE I study in 509 patients with active mild to moderate ulcerative colitis, 2.4 times more patients achieved clinical remission with the prolonged-release budesonide tablets than with placebo (17.9% vs 12.1%, p=0.0143) and rates of adverse events were similar.